Tharon has been addicted to reading since early childhood in North Carolina. Her undergraduate degree and post graduate studies at UNC- Chapel Hill were in English Literature, which only aided and abetted the obsession. Abandoning the notion of life in academia, she and husband Lee began a now forty-five year residency in Nantucket. Working days were spent in retail as owner of shops in Nantucket and Martha’s Vineyard. Various other involvements include member of Nantucket Atheneum Board of trustees, Nantucket Island Chamber of Commerce board and Nantucket Green Fund. In 2005 she co-founded the Literacy Volunteers of the Nantucket Atheneum and continues as director, teacher and tutor for the LVA. 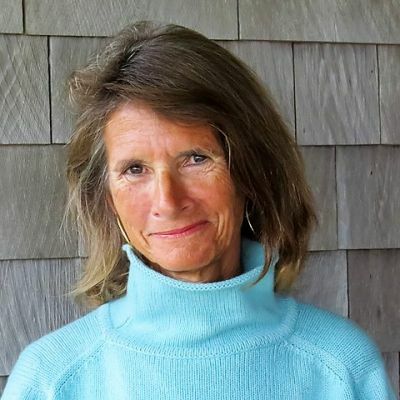 Committee member of the Nantucket Book Festival since year one, she is currently chairman of the Literary Committee, which coordinates author selection for the Festival.